The City began using the new snowmelter nicknamed "The Dragon" in Forte Park on California Street on Wednesday. Click to read full article. Somerville - With Assembly Square no longer a dumping ground for Somerville's snow, the city is using other lots and snow melters to dispose of plowed flakes, including the foot of snow dropped by Winter Storm Hercules last week. Click to read full article. Blading snow onto the shoulder or into parking spaces is the first line of defense, but for a big snowfall, the stuff must be disposed of before it chokes off streets. Hauling it away is expensive, and dumping in into waterways puts road crud into the water. Enter the Dragon... click to continue. Subscribe today! The Snow Dragon YouTube Channel has just been updated to include LIVE Unedited equipment demo videos, user videos, tv spotlights, and contractor presentations! 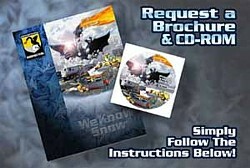 To keep up to date on all video feed, hit subscribe today...Snow Dragon YouTube Channel. The Snow Dragon - a giant mobile pot that cooks snow into water at 130 degrees - melts away snow ....click to continue. Workers gather in parking lot at St. Lukes hospital in Duluth on Wednesday for a demonstration of the Snow Dragon snow removal system...click to continue. The Snow Dragon Lair's Monthly Newsletter has started back up for the year with the first monthly newsletter in 2012 being sent out today! This newsletter will highlite four areas including Current Events (upcoming news, events, and demonstrations), Snowmelting 101 (an educational area when looking at purchasing snowmelting equipment), Feature Model, and FAQ of the Month. An archrive button has been added to the website on the right hand side for easy access to the current months along with previous newsletters. Snow Dragon is pleased to invite Metropolitan Solutions as its newest member of our Dealer Network. Metropolitan Solutions is the exclusive dealer for the Romanian marketplace. They currently provide a number of road maintenance equipment including but not limited to garbage vehicles, sewer suction equipment, and road sweepers. We are excited to work with them for many years to come! Hartford Mayor Segarra enacts roof safety plan. Street clearing procedures also continue with three storms in the forecast in the next seven says. Snow Dragon SND900 will be used in priority areas as determined by Police, Fire, and Emergency Services. Click here for entire article. NY Times quotes Snow Dragon Dealer Vasso Systems! From Humble to Majestic - the array of products out there to help with snow removal. Vasso System in quoted in this article. Conn. town turns to Snow Dragon. There is more snow on the ground in Central Connecticut than anywhere else in New England. To get rid of this mess, they turn to a Snow Dragon customer for assistance. Click here to view entire article and video. The Snow Dragon hits the streets! Click here to view video from CT News. Minneapolis Digs out with Biodiesel-Powered Snowmelter. After the collase of the Metrodome, the Snow Dragon helped clear the outdoor field at the University of Minnesota that the team would use for their postponed game. Click here to view the entire article. Snow Dragon would like to congratulate Turf Plus on their snowmelting services in NYC. For those interested in having their snow melted in the NY/NJ or surronding area, please contact Bill Hamilton today! Congratulations HP Fairfield on a successful demo of melting snow at the Gillette Stadium. 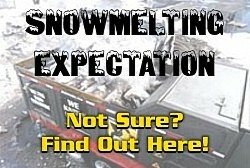 For more information, please read Moving "Hot Tube" Melts Stadium Snow. GAME ON! Fox 9 News Reports, Rushing to help prep the field for Monday's night football game. The owner of the SND1800 snowmelter, O.J. Reinhart with Inerstate Removal is expected to be at the stadium at 1pm. To read the entire Article, click here. The Star Tribune discusses the recent use the City of MN has with the Snow Dragon SND900 snowmelter. Click here to view article and video.